Meet our new herb-growing superheroes made from ceramic. 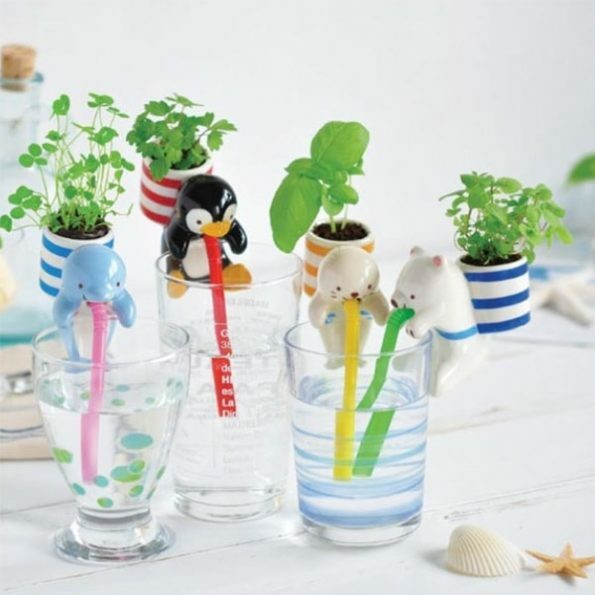 These cute creatures are simply adorable, you can simply make them rest on your tea cup or cold drink glass or a mug. they simply hang on there and sip through a straw when your plant is thirsty. Buy this adorable cultivation partner now, it includes ceramic animal, planting medium, seeds, and straw. You can choose your favorite animal from a cat, panda, pig, dolphin, polar bear, seal, rabbit or penguin.